For driving directions to the SW MacLeod office do not search for direction from Mapquest because it tells you to turn left at 50th Ave which is incorrect. You need to drive further to 146 AVE SE. To travel to the U.S. do we need to take our birth certificates as well as our passports? You don't need birth certificate if you have Canadian Passport. How long will it take to get your passport? Are you able to put a rush on it? I just got married. As I am changing my name to my husbands, do I have to do a legal name change or can I just assume his last name and have a legitimate passport with his last name on it? So if the hours on the site are wrong how does one find out what the Calgary office hours are -- at both locations ? WTF is the ph number for the Harry Hays bldg? I don't want to DRIVE all the way there just to find out my passport isn't here when hey said it would be! I recently misplaced my passport and am to leave to Pheonix (U.S) from Edmonton (Canada)on November 26. What are my options? Do I need a passport or is birth certificate and my licence, health care, sin card enough? or will I have to get another passport?....if so, will it be sent in time if I drive to Calgary to pick it up? PLEASE HELP! You can get the Passport within 48 hrs if yu pay the extra $$$.. There used to be paid parking opposite the Harry Hay's building....is that still there. I need to apply for my passport and don't want to go around looking for a parking. I have a friend who lives in Alberta and she is currently working on getting her passport. How long will it take her to get it. Is it possible for her to fly to ontario for christmas. Will she make it here in time?? Yes, the parking is still there on the east side of the building. Yes, your friend will make it to Ontario for Christmas. If she lives in AB, she does NOT need a passport to fly within Canada. Passport was expired and lost. Will there be issues getting a new one? What is the cost of getting a new one fast tracked and how fast can you get it? A female friend who has never had a passport is getting married and planning a honeymoon. Must she first get a passport in her maiden name and will she be allowed to use that on her honeymoon after she is married? She won't be able to get a name change for her other I.D. in time for the honeymoon. I need some help. My daughter 19 years old is in the United States at school. she sent in her passport to passport canada in September, it expires on October 16th. The office has tried to call her and she has returned the call numerous times, but they have not connected. I have left my name to try and connect them as well. I need to talk to someone to get this figured out, I have the file number but I need to know what the issues are so she can get it rectified right away. I am in the process of renewing my passport and with respect to My mother's maiden name, my mother has been deceased for over 30 years and the only living relative on her side was in the army and had the spelling of their last name changed. How do I find out exactly how her name was spelled so that I can renew my passport? I am desperate. 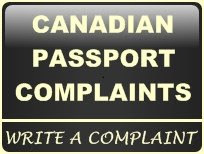 Can my spouse pick up my passport for me?